We were sent this remarkable story by Alison Cheung, aged 10. 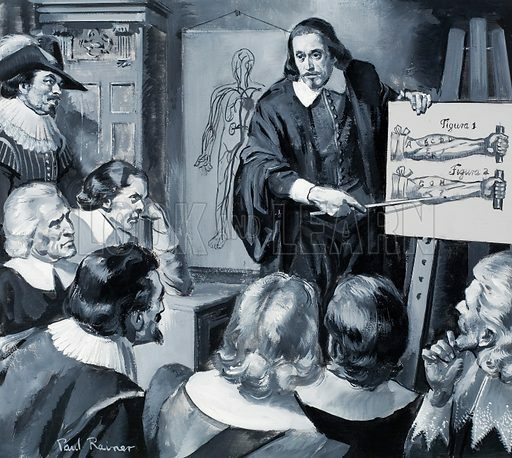 By way of allusion, rather than illustration, here also is an illustration of William Harvey who first properly understood the role of the heart. One, two. One, two. I sat there, with one hand over my heart, feeling the weak beats that emerged from within. Why? Why me? It wasn’t fair. My life was hanging in the balance since I was born. A purple, little, slimy alien, my heart was all wrong from the start. It was weak. It was an old, tired heart which barely had the strength to pump my blood around my body. Eleven years I had always been watching, never doing. Never been able to run or jump or swim that long… never being able to escape a day without at least one person whispering ‘that’s the girl who’s going to die when she’s thirteen’. I don’t want anyone pointing their filthy fingers at me and feeling all sad and sorry for me. A tornado is like some raging black devil conjured from an evil genie’s magic bottle in order to wreak death and destruction across the land. Or so started an article in the 1982 World of Knowledge annual on the tornado which came on 14 April 1866 to the town of St Cloud on the west bank of the Mississippi. 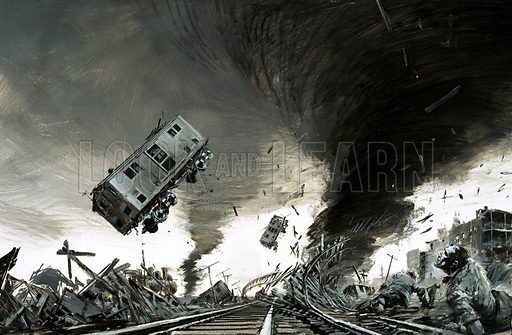 This astonishing picture by Graham Coton depicts the havoc caused by the tornado in the station yards of the Manitoba Railway. In Europe, we call it the elk, in North America it is the moose, but either way it is the largest living member of the deer family. Sometimes growing to a height of seven feet, and maybe weighing more than 1,000 lb., the male, or bull, moose has a set of antlers which is second to none. The antlers are curious in that they branch out from the side of the head, and grow sideways rather than forwards. They do not reach full size until the moose is eight or nine years old; then they may be as much as five feet across from tip to tip. Each January the adult moose sheds its antlers, and the new pair are not fully grown until August. 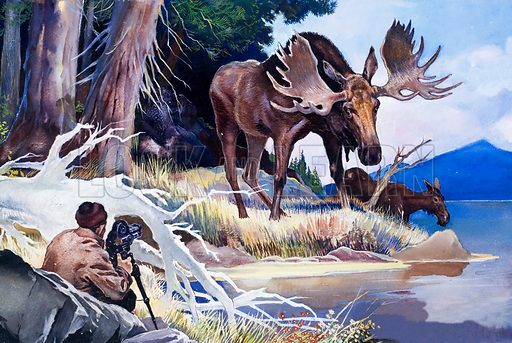 Other points which make the moose easy to recognize are its long and thin-looking legs, a strange pouch of skin, called the “bell,” which hangs from the throat, and a drooping muzzle which gives the moose the appearance of having a very Roman nose. The female (cow) moose in winter has a lighter-coloured coat than the bull, whose long, coarse hair varies in shade from dark brown to a dirty grey. The coats of both the bull and the cow are finer during the summer months. When we are photographing or scanning magazine artwork it is generally not too difficult to identify the issue of the magazine from which the picture came. This is because the editors typically wrote the day and month (though, irritatingly, not generally the year) in the border of the painting. But sometimes the dates are wrong, and sometimes there is no date at all meaning that it can be difficult to identify even the subject matter of the picture. Quite a few pictures in our our picture library are in various ways as “unidentified”. Indeed, if you do a search for this word you will come up with just over 300 pictures. 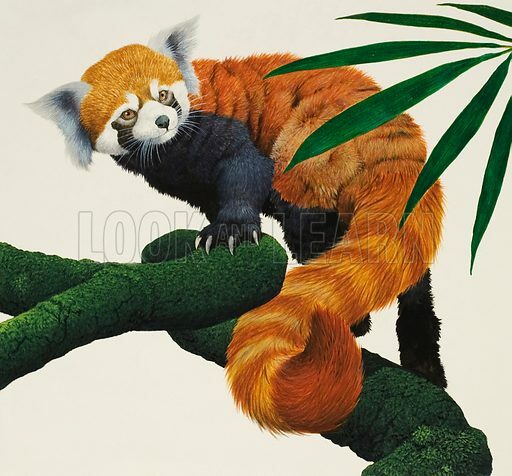 Who, for instance, call tell us what animal this is? 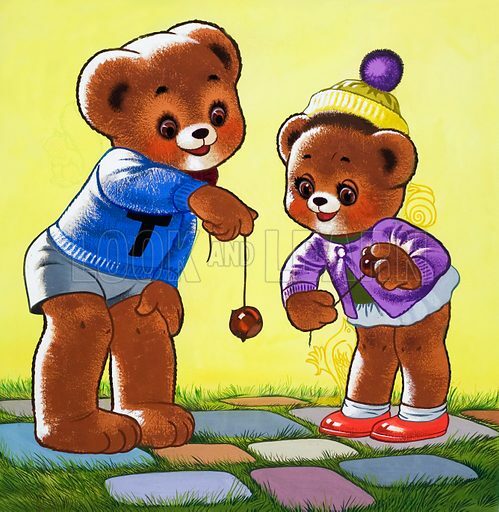 Here is the cover art to an issue of Teddy Bear magazine, the artist almost certainly being William (“Bill”) Francis Phillipps. 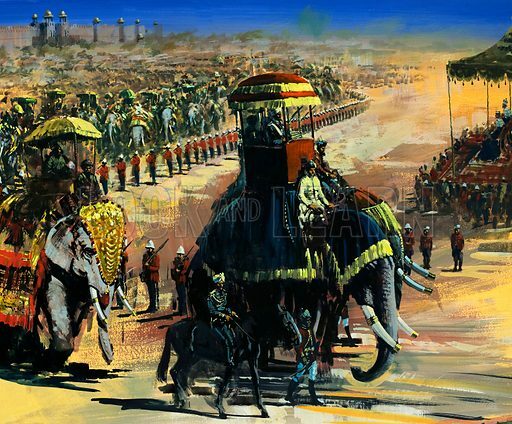 To celebrate our breaking through 20,000 images in the Look and Learn picture library, here is a magnificent picture by Graham Coton of The Last Great Durbar, held in Delhi and attended by King George V and Queen Mary.